Marko is the founder of Legends Asset Management. He is in charge of all investment decisions of the firm as our CIO. Also being the general partner he is responsible for the firm's strategies definition and execution. He has over 10 years of investment experience in HK / China markets. Prior to establishing the firm, he was a portfolio manager of Societe Generale Asset Management (SG Asset Management). During his time at SG Asset Management from 2008 to 2010, his China fund which focused on small-mid caps was consistently ranked at top 3 in Greater China universe. Before joining SG Asset Management, Marko worked at a hedge fund--Quam Asset Management, where he was an Assistant fund manager/Senior research analyst initializing the long/short strategy in HK/China, A and B share markets. Mr. Ho holds a Bachelor of Business Administration (Hons) degree from The University of Hong Kong. Before joining the investment industry, he had many years' experience in running a manufacturing business in China. Mr. Shih is responsible for defining the strategies of the firm, analyzing the macro economy and monitoring the possible risks we are facing. He is the founder of Centaline Property Agency Limited, the largest property agency in Greater China, employing more than 50,000 employees in the world. With more than 30 years' experience in Hong Kong / China property markets, Mr. Shih is well recognized as a property guru in the investment community and a prominent public figure in the Hong Kong society. Mr. Shih is also famous in his entrepreneurial skills. In 2005, he launched the business of free newspaper am730 which soon became one of the major and profitable newspapers in the society. Named by Forbes as one of the Heroes of Philanthropy in 2011, Mr. Shih donated most of his wealth, including the entire stake of the property agency company he founded, into a charity fund which targets to help the poverty in rural area. Mr. Shih also actively participates in various community services and hold many roles in public position. Legends Asset Management Limited Tel: (852) 2117 3900 Fax: (852) 2117 0720 © Copyright 2019. Legends Asset Management Limited. All rights reserved. You should not base on information contained in this website of Legends Asset Management Limited (hereinafter referred as “LAML”) to make any investment decision. If you are in any doubt about any of the contents of this website, you should obtain independent professional advice. This website, including all the information, material and data contained herein (hereinafter referred as the “Website”), of LAML, may contain confidential and/or privileged material and is/are rendered on an entirely without prejudice basis. Any review, retransmission, dissemination, copying, reproduction or other use of, or taking of any action in reliance upon, this Website or any part thereof by any person is strictly prohibited. This Website shall not in any way affect or prejudice the respective rights, obligations and liabilities (if any) of LAML and any entity or party named, mentioned and/or referred to herein. Any rating, certification or award as mentioned and/or appearing in this Website may belong to a particular entity as specified in this Website. LAML makes no representation or warranty as to the accuracy, completeness or correctness of this Website or any part thereof. LAML shall not be responsible for and expressly disclaim any liability whatsoever for any loss or damage howsoever arising, including without limitation such loss or damage (if any) arising from the use of or reliance upon, or intended use of or reliance upon, this Website or any part thereof, whether or not arising from any error or omission in compiling this Website or any part thereof. This Website has been prepared for information and reference only. Neither the information, nor any opinion contained herein constitutes a distribution, an offer or a solicitation of an offer to buy or sell any securities, futures, options or other financial instruments or to provide any investment advice or service. Without prejudice to the generality of the foregoing, the information contained herein does not constitute, and may not be used for the purposes of, an offer or a solicitation to anyone in any jurisdiction or country in which such offer or solicitation is not authorized or to any person to whom it is unlawful to make such offer or solicitation or where such offer or solicitation would be contrary to law or regulation or which would subject to LAML to any registration requirement within such jurisdiction or country. 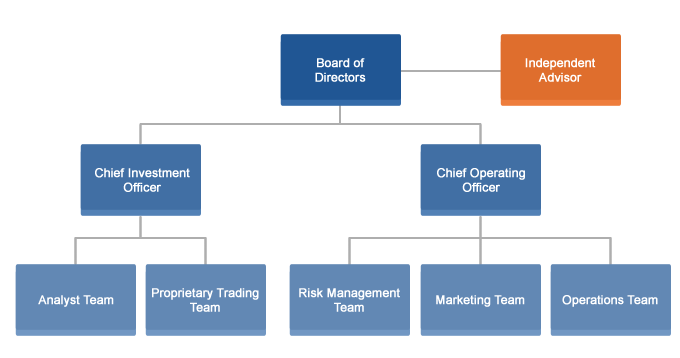 LAML and persons associated with it may have positions in and/or engage in transaction related to the markets referred to the information in this Website. LAML may have relationship with any entity or party named, mentioned and/or referred to herein. Managers of the underlying portfolios may have an equity stake in the underlying portfolios which they manage. Conflicts of interest cannot be ruled out at the level of the underlying portfolios. To the best of the knowledge, information and belief of LAML, all information contained herein is accurate as at the date of publication. Neither LAML nor its directors, officers, employees, agents or representatives warrant the accuracy, adequacy or completeness of the information and material contained herein. LAML and each of its directors, officers, employees, agents or representatives expressly disclaims liability for any errors or omissions in the information and material contained herein. No warranty of any kind, implied, express or statutory, including but not limited to the warranties of non-infringement of third party rights, title, merchantability, fitness for a particular purpose is given by LAML in conjunction with the information, material, products or services contained herein. Under no circumstances may the information contained herein, or any part thereof, be copied, reproduced or redistributed without the express permission and written consent of LAML. The price of shares/units and the income from the fund offered by LAML may go down as well as up and past performance figures are not an indication of future performance. The performance figures shown or indicated in this Website may refer to a particular class of the fund only. The information contained herein should not be considered to be legal, tax, investment or other advice. Each prospective investor should consult his/her/their own stockbroker, financial adviser, bank manager, solicitor, professional accountant or other professional adviser in respect of matters concerning his/her/their investment. Investment in the funds offered by LAML involves special considerations and risks and is suitable only for sophisticated or professional investors for whom an investment in the funds offered by LAML does not represent a complete investment program and who fully understand and are capable of assuming the risks of an investment in the funds offered by LAML. If you are in any doubt about any of the information contained herein, you should consult your stockbroker, financial adviser, bank manager, solicitor, professional accountant or other professional adviser. The information is current as at the date of publication but is subject to change without prior notice. LAML has no obligation to tell you when information in this Website change. All copyright, trademark, logo, patent, intellectual and other property rights in connection with the information contained herein are exclusive property of LAML or its affiliates, except as otherwise stated. No rights of any kind are licensed, assigned or shall otherwise pass to person accessing this information.